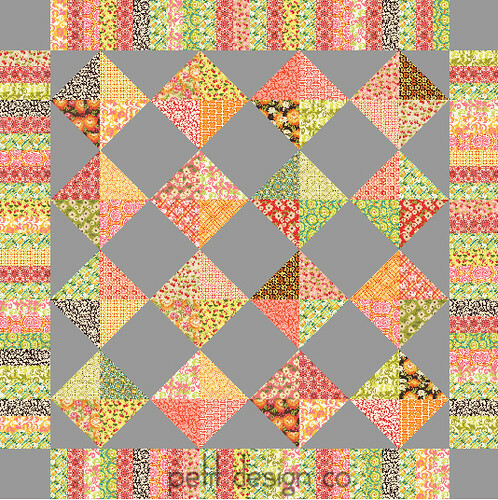 I made up this quilt to play along with Beaquilter’s EQ tutorials. Easy HST’s and a rail fence border. I think I would use some Kona Charcoal for the gray (it’s a bit darker) I would also mix in some different prints and solids to coordinate with Sandi Henderson's "Meadowsweet." I love the way you designed it so that it looks like quarter square triangles on point.